Ruthless focus. It’s the not-so-secret ingredient that makes the difference between good sales reps who hit quota and great ones who go to club. The best sales reps in the world have an innate, sometimes uncanny, ability to steer clear of the deals that seem attractive on the surface but that are destined to become white whales, and to focus on winning the ones that matter. They instantly spot the best fishing grounds in their territories on the day they receive their accounts, and they maintain a ruthless focus on the best fish. But the modern sales rep is drinking from a fire hose, and it’s hard to stay focused when you are drowning. On any given day, today’s sales rep is torn between a never-ending pile of marketing leads (all tagged as “hot”), the fifty big accounts in her territory that she still hasn’t called on yet, the perpetual buzz of shares and posts from clients on social media, not to mention the constant pressure to keep things up to date in the CRM. Thanks to the proliferation of Sales and Marketing technology, today’s sales rep is swimming in a sea of red herring. LinkedIn provides the fishing net that can restore focus. First, thanks to LinkedIn, any rep can tap into that uncanny ability to spot the fertile fishing ground where she is likely to win, by identifying those companies that fall exactly within her sweet spot. Second, the rep can target the people and relationships within those accounts that will be the key to winning. 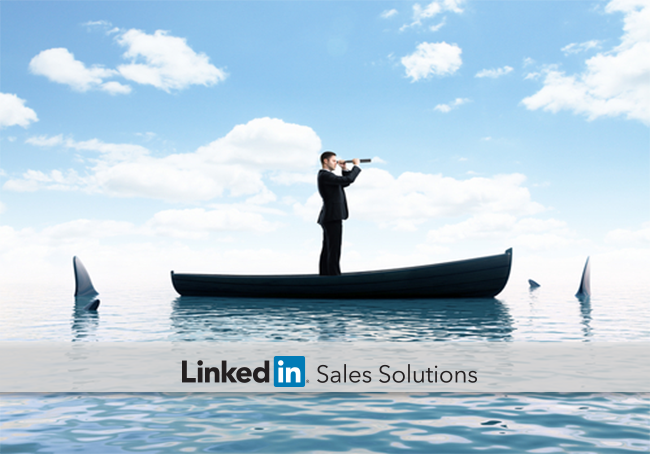 Third, LinkedIn enables sales managers to coach their reps to focus on people, not pipeline. As a rep plans her attack, her first step is to identify the accounts that 1. represent big opportunities and that 2. she is likely to win. While a company’s Sales Ops team can provide the rough opportunity size based on company revenue, the second factor is often up to the rep, and this is where great reps separate themselves from the pack. LinkedIn Sales Navigator solves this second part of the equation, the likeliness to win, by identifying the companies that fall in her sweet spot of success, all in just a few clicks. Specifically, the rep can tell Sales Navigator to find the subset of accounts that fit the value prop, based on a combination of function/industry, company size, geography, and key words like “big data” or “biotech.” But it doesn’t end there. Sales Navigator will learn from the rep over time and recommend other companies that fall within this sweet spot. LinkedIn is creating focus even after the sales rep has gone home for the evening! Putting it all together, the savvy modern sales rep wins the battle for focus by casting her net around the subset of accounts where she is likely to find success, giving her the confidence to ignore other fish that are likely to slip through her grasp. Once the rep has narrowed down the accounts with the best fit, the next step is to map out her strategy to engage. For most reps, the starting point is to begin calling through a lead list. But these lists are, by definition, unfocused. Not only are these lists typically unstructured, amounting to a grab bag of different types of contacts who may or may not be valuable, they are also stale from the moment they are printed. Enter LinkedIn, the richest treasure trove of information about professionals on the planet, which also happens to stay up-to-date in real time as members update their profiles. Gone are the days of calling on a great lead, only to find that he has left the company, sending the rep back to square one. So, how to tap into all this goodness to create focus? Our modern rep uses LinkedIn Sales Navigator to zero in on the types of people she cares about within her target accounts, based on title and seniority. Finding these decision makers off the bat is powerful… but now comes the real magic. Once she has a shortlist of decision makers in her sights, she can start her outreach with those contacts who are connected in some way to people at her own company. These contacts are likely to be her best bets, and our modern sales rep knows she must focus her energy on the lowest-hanging fruit. 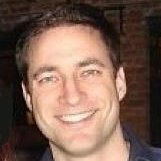 Instead of asking endlessly about which deal is in which sales stage, managers should ask questions that force the rep to prioritize the key people and relationships at play in the deals, such as “Who are the key people, and what are their roles in the deal?” or “Have we tapped into all of our relationships with these guys?” By coaching to people, not pipeline, sales managers will keep reps focused on what they need to do to win deals. In the end, by targeting the key accounts where she is likely to win, and engaging the right people and relationships at those accounts, the modern sales rep can win the battle for focus… even when surrounded by a sea of red herring.